Santa Monica, CA – Capstone Headwaters advised Plixer, a leader in network traffic analytics and security incident response software, on their sale to Battery Ventures, a global technology-focused investment firm. Plixer is best known for its flagship product, Scrutinizer®, which collects, visualizes, and reports on rich metadata gathered from the existing wired and wireless network connections through to private, public, and hybrid clouds. This network traffic analytics system, which is able to scale to any enterprise environment, delivers rich data context and provides the fastest reporting in the industry. Organizations like those in the financial, government, tech, retail, healthcare and education markets rely on Plixer to reduce risk, improve operations, and lower cost while improving application performance. 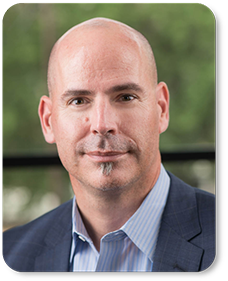 As part of the transaction, Jeff Lindholm, former Senior Vice President of Brocade, Arbor Networks, and Juniper Networks, has joined Plixer as its new CEO. Mike Patterson and Marc Bilodeau who founded the company in 1999, will continue to participate as members of the corporate leadership team. Battery, which was founded in Boston, has invested in many industry-specific software companies like Plixer, a category of companies which offer customers highly specialized products as well as industry-leading support and services. The firm does traditional venture-capital investing as well as larger private-equity deals and has raised over $6.9 billion since inception. The firm is now investing its latest funds with a combined capitalization of $1.25 billion. The team at Capstone Headwaters is so experienced and methodical that I can’t imagine working with another firm. They were on point with everything and I had so much confidence in them, we could not have gotten through the process without them.